Update 11/17/09: The free photo card offer from SeeHere is still only valid for the 4×8 size but they will accept your orders thru Monday, November 30. I apologize for the multiple changes to this coupon code, but it was something I was unable to predict or control. Due to a higher response than expected, SeeHere needed to limit this free photo card offer, but they did decide to stick with the original expiration date of November 30. You still have lots of time to redeem this offer and I hope that lots of my readers will get their free photo cards! They are now charging for shipping. I ordered some on the 9th and when I go online to see the account status, it says tracking not available. Did anyones cards take this long just to be shipped? I got an email conf. saying it was processed and that I would get another saying when they ship it, but nothing yet =/ I'm worried they won't get here in time for the party?!! I ordered my cards on Nov 9th, and got the confirmation email. However, I still haven't gotten a shipment notification. I tried calling their number, and it just tells me to call back during regular business hours, even though it IS regular business hours! They are going to get a lot of complaints from me if they don't follow through on their original offer. I just change my cards to the 4×8 size and the code worked perfectly! It is so nice of you to have such an awesome freebie. Definitely saved me from having to spend more money on my holiday cards. Thank you, thank you, thank you!!!! I ordered 5×7's as well, only to have my order cancelled by them! I e-mailed customer service and got a reply saying they switched the offer to 4×8's and the code would still work, just not on 5×7's. Fine and dandy — I designed a new card. BUTTTTT it won't let me place the order, it's saying my code has already been used (which it has been, but since they cancelled it, it didn't produce anything!). SeeHere lost my future business as well. This is totally not directed at you, and I appreciate the offer, they just apparently under-estimated the power of the internet and now they've really given themselves a bad taste to a lot of people. I'm also less-than-thrilled with SeeHere. It was awesome of Heather to try to work with them to get us this good deal, but SeeHere has absolutely not held up their end of the bargain, and like others have said, there are plenty of other photo websites offering great deals right now without all the headaches. I'll be sending them a letter letting them know how I feel about all of this. Yep…same here! I had spent the majority of last week trying to order the 5×7's and it would never go thru. Now today it went through only to find that they renigged on their deal. So, now that I have designed a 4×8, it will not accept it. I give up and will pay for my cards from somewhere else. I am not wasting anymore of my time on their site! Thank you for posting this free deal and I understand it is not your fault; however, SeeHere just ruined their business with me. I got mine done and the code worked!!!! I picked the smaller size anyway….!!! I just tried to order my 4x8s and they won't go through either…getting error: An error with code ccaa 54e5 occurred. Please try again later. I spent 3 hours making the cards, had the order go through — now it's cancelled and says ERROR. They won't let me re-enter the code for the 4×8's – they say the code is already used. CRAZY! I had to send them a complaint. What were they expecting??? I can't stand the 4×8 cards. I'd rather pay for 5×7's. I was planning on ordering my calendars from them…..not now! I agree with Stacy 100%! 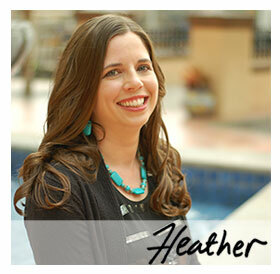 Thank you so much to Heather, I love your site, it has helped my family and I a great deal this past year. However, SeeHere is not someone I will purchase photos from since they retracted the offer they originally gave us ALL! I will stick with Snapfish! This has been ridiculous! The site has been super slow or down and they keep taking away codes. I was headed to see a specific Santa so I could get a package from seehere.com. Not any more. Thanks for the offer, it was not your fault. But shame on seehere.com! I don't find it "shameful" to be a bit upset that they have changed the terms of the deal. I was having our pictures done this weekend becuase on this site it was very specific that this deal didn't end until Nov 30th. I appreciate them offering this in the first place but I hate compancies who pull this type of stuff. They won't be getting my business in the future, to many good online photo companies to choose from that I will gladly pay for good service and quality prints. Totally agree, how shameful of people to complain about something being given to them for FREE. Fine, you don't like it, go elsewhere. But, I for one absolutely LOVE our free cards and this company and F4M for sharing it with us. I guess you can't please all the people, all the time! I can not believe people are complaining over a free deal. They were nice enough to offer something for free to everyone…and we know this site has a lot of followers that took them up on the deal. I am happy to get my free cards and will use them again..Yes it took some time to checkout because i am sure they were overwhelmed…but its worth my time to get 40.00 worth of cards FREE. I finished mine up yesterday morning – made it with the 5×7 style. I am pleased as punch they offered this promo to you and us. I think that individuals should expect sites, which offer deals like this one,to get overwhealmed and just have patience. I made a simple card – ordered 20 because that was all I needed and I got the confirmation last night that they ahad already shipped! Thanks Heather for all that you do! I received my free cards and they are great. I love them. Thanks so much for bringing this offer to us. It let me do two separate orders to the same home address. One under my name and email, the other under my husband's – so I'm getting 100 FREE cards. It was a bit of a hassle, but totally worth saving all that money! Thanks for the update. I still can't get the site to open – it says down for maintenance – but I'm happy to be able to have another chance at least. I spent all weekend designing cards for my family members to order and didn't get MINE done, darn it! it worked for me! great deal and glad i took care of it early. thank you Heather! My cards are adorable and Seehere.com did FENOMENAL job, great quality and fast service- can't complain. Had to redo my photo card to a 4×8 style… but it worked. Can't wait to get them! Thanks for posting such an awesome deal! SeeHere certainly isn't gaining my business with all the site problems and now changing promo codes. I think I'll stick to Shutterfly! Free is great, but this has turned out not to be worth the hassle. Thanks anyway! Just wanted you to know that it works! I gave up on the 5X7 cards and made new cards as 4X8s. No problem! Just get with it before the whole world gets on the site and it "freezes up" again. GRRRRRRrr. I just finished my cards and have been trying to submit it for the last 3 days and every time I went on to finalize the purchase their servers were down, and now they have switched to 4×8!!! That means if I want my cards I have to redo all of them to 4×7's. Forget it. Free or not, it's just not worth it. And SeeHere has officially been taken off of my list for any photo services in the future. I know the cards were free so i TOTALLY should not be complaining but honestly, they didn't expect people to respond to a free offer?! That is ridiculous.